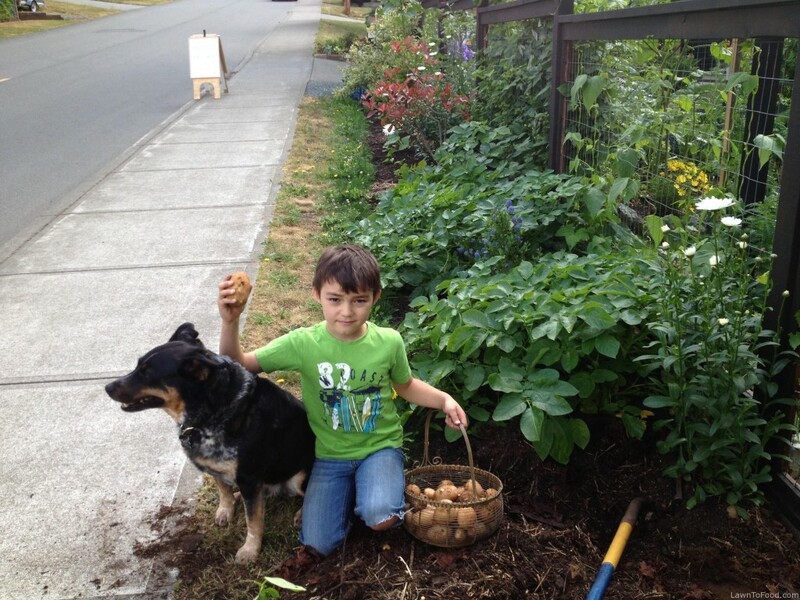 A topic that I am passionate about is …”How do I get my kids to like vegetables”. One answer to that questions is to not impose your dislikes, or others dislikes, on to children. Give them a fresh start. Encourage children to try everything. Then they can take it or leave it, no forcing nessecary. 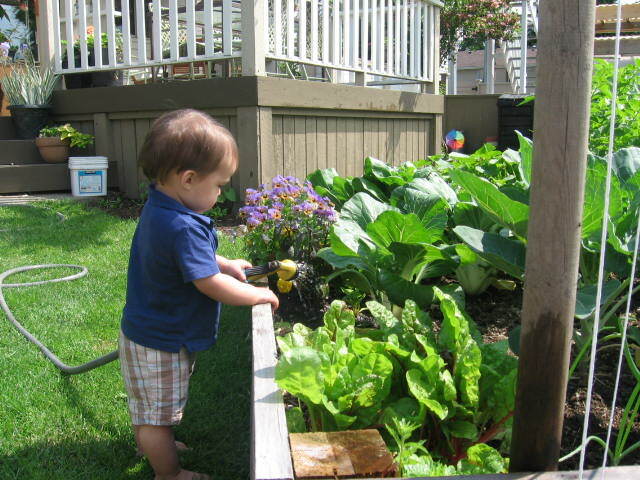 I just can’t think of a better reason to grow your own food than for children. Especially in this day of processed breakfast cereals, frozen pizza, fruit roll-ups, sugary yogurt tubes and deep fried cornerstore conveniences, the majority of our children are being fed food-like substances rather than food. I know, I know, MOST of you detest the taste of Brusselsprouts .. but this one is different. 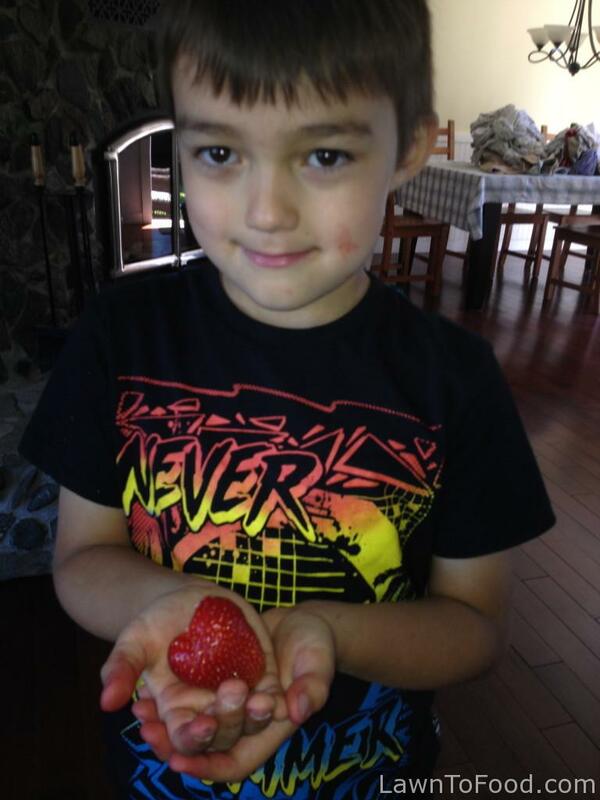 He’s full of flavor, and attitude, with a few unexpected twists. Meet our youngest Brusslesprout. 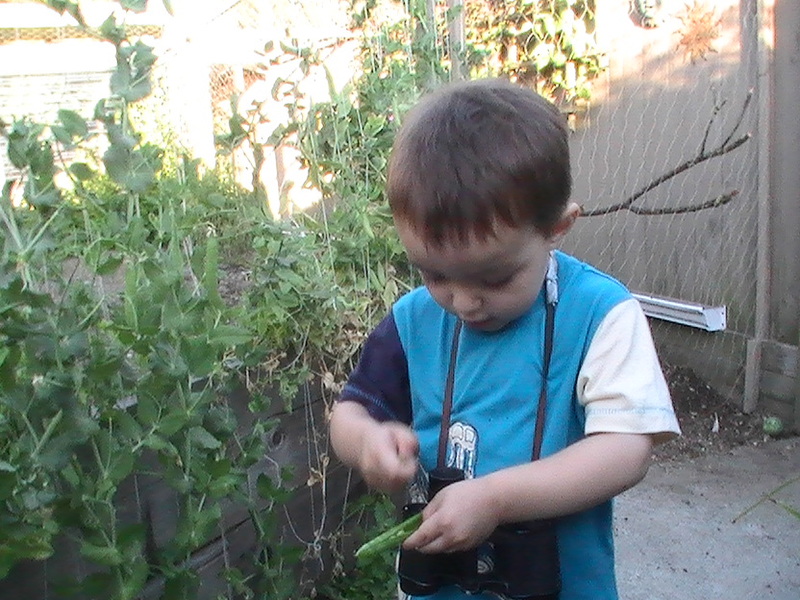 This little bundle, in his 4 years of life, has taught me so much about food. What a marvel it is when plucked from the ground, how to respect “baby” seedlings, how to protect & coddle worms and how to graze through the veggie patch with pure enjoyment. 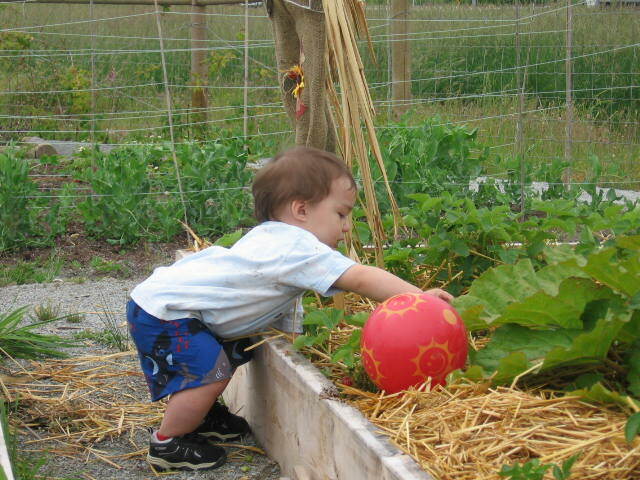 All children deserve the chance to know where real food comes from and to experience the bliss of growing their own. 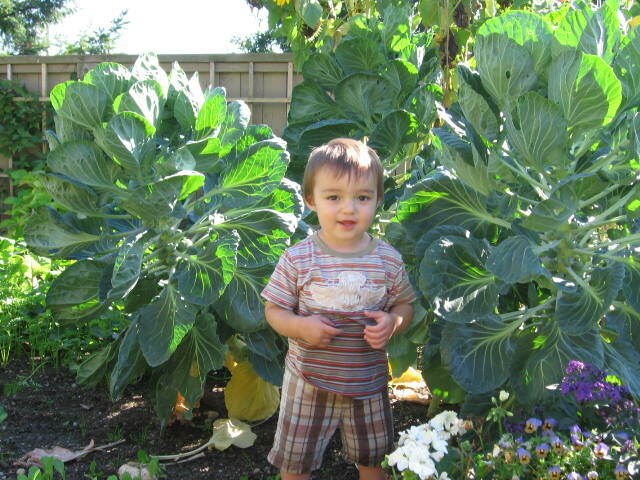 A-wee-bit wet from the garden hose, Brusselsprout poses in front of the 2009 Brusslesprout crop in our backyard Pitt Meadows garden. 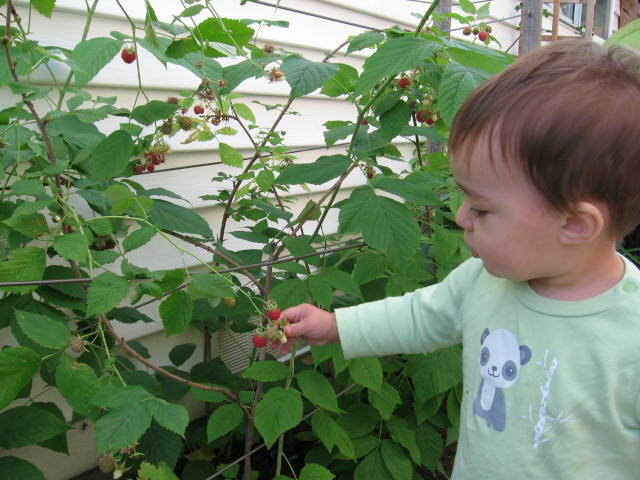 I have never met a child who wouldn’t taste something that he/she has grown themselves. This is your chance to start some seedlings in pots with them. Better yet, dig up a 10′ x 10′ space in the backyard for their favorite vegetables & some new ones. 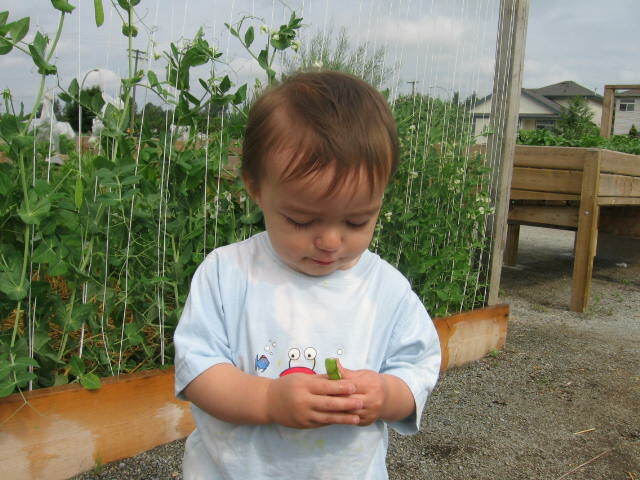 Peas, carrots, lettuce, beans, tomatoes, radish, spinach or even a pumpkin. 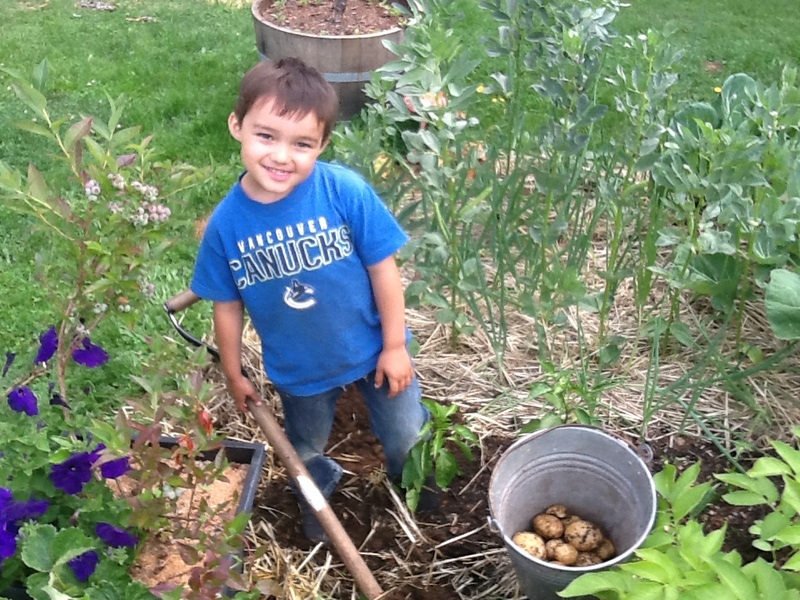 Anything is possible in a child’s vegetable garden. 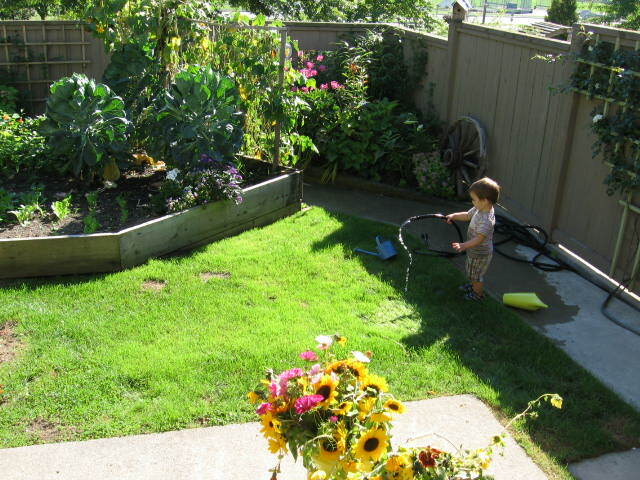 This entry was posted in Fresh Vegetable Ideas, Gardening w/ Kids, Growing Food, Let's Eat and tagged brusselsprout, children, food, gardening, grow, health, kids by Lynda. Bookmark the permalink.